TRENTON, NJ - With the unofficial start of summer less than a week away, the New Jersey Office of Homeland Security and Preparedness (NJOHSP) has announced a new summer initiative designed to keep New Jersey’s residents safe this season. NJOHSP’s “Secure the Shore” Initiative is a specialized subsection of the State’s larger, year-round “See Something, Say Something” campaign that encourages the reporting of suspicious activity. Through suspicious activity awareness, reporting, and information-sharing, critical infrastructure owners and operators, law enforcement, and the public at-large prove invaluable to initiating investigations and preventing potential attacks. The “Secure the Shore” Initiative will focus on Monmouth, Ocean, Atlantic, and Cape May counties, and municipalities within these counties along the coast, with an emphasis on towns that attract mass gatherings. In coordination with local, county, state, and federal law enforcement, NJOHSP has deployed a security strategy to prepare shore communities of the emerging threat to public venues with limited security and free movement. NJOHSP investigators will deploy to the shore towns and various special events throughout the summer. NJOHSP will conduct visits to the boardwalks and businesses, and will work with local, state, county, and federal partners to aggressively investigate all leads in a timely manner. NJOHSP, with the help of law enforcement partners, will also conduct trainings for lifeguards and beach patrol personnel on how to identify and report suspicious activity. 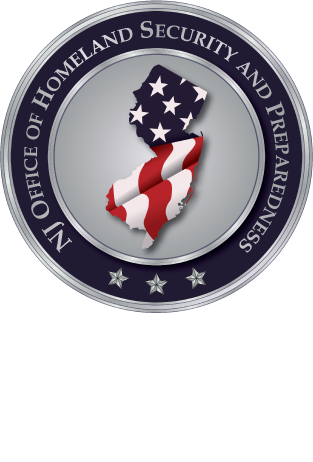 The New Jersey Office of Homeland Security and Preparedness encourages all residents to remain vigilant while enjoying themselves this summer. If you “See Something, Say Something,” by calling 1-866-4-SAFE-NJ or emailing tips@njohsp.gov.